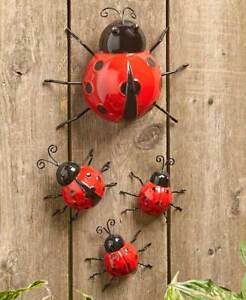 Whimsical Ladybugs Garden Insects Wall Art Indoor or Outdoor Decor Set of 4 New! 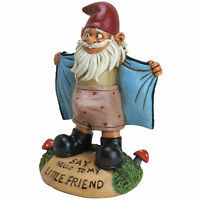 Buy MORE and SAVE Sale - Going on Now! : Use the 'Add to Cart' to see ALL of your Savings! Combined Shipping Discount Available? : Yes-Save $4.25 on 2 Item; $8.50 on 3 Items, etc. Save (PLUS for a limited time purchase 2 or more items and SAVE 11%): $4.25 on 2 items $8.50 on 3 items $12.75 on 4 items $17.00 on 5 items. etc. **Must be shipped to the same address and paid for at the same time.